ConocoPhillips and Phillips 66 Stock Prices since their Split in 2012. As ConocoPhillips and Phillips 66 come up on the fourth anniversary of the separation of the original ConocoPhillips into an upstream company (ConocoPhillips) and a downstream company (Phillips 66), the fortunes of the two companies couldn't be more different. The stock price for PSX has risen 162% since the split while COP has fallen 22%. Click on graphic to expand. Chart: Hugh Pickens. As ConocoPhillips and Phillips 66 come up on the fourth anniversary of the separation of the original ConocoPhillips into an upstream company (ConocoPhillips) and a downstream company (Phillips 66), "The Traveling Investor (TTI)" wrote at Seeking Alpha on January 14, 2016 that the fortunes of the two companies couldn't be more different. "With oil prices down the drain, it's not surprising to see ConocoPhillips' stock tank by more than 50% from its 2014 high," writes TTI. "It is apparent that the spin off created value for pre-spin off shareholders, as Phillips 66's stock has since more than doubled and ConocoPhillips's shares increased by more than 50% before the collapse of oil. Investors that held on to both companies would have done fairly well. However, those who only holds ConocoPhillips shares today no longer benefit from the safety of an integrated company." According to TTI, today's ConocoPhillips is susceptible to macro movements that plague every other exploration and production oil company. However, the management has not made enough changes after the spin-off to ensure that the company can safely withstand the volatility of the commodity market. According to "Foundation Investing (FI)", things could get worse for ConocoPhillips and there is a a good chance that the dividend will be cut. "The downside of this split is that it made the company vulnerable to falling oil prices. Integrated oil companies benefit from their downstream businesses because refiners see higher profits when the price of oil falls, acting as a kind of hedge on lower energy prices," writes FI. "ConocoPhillips currently has roughly $25 billion in debt, up $2.5 billion year over year. Moody's recently put the company's debt on review for downgrade, citing weak conditions and impaired cash flows. There comes a point when a company is confronted with the choice of either cutting its cash distributions or causing possible long-term and irreparable damage to its business - and that moment is not far off for ConocoPhillips." Phillips 66 (PSX) finished 2013 with its stock price at 77.34 up 24.24 points from its closing price of 53.10 on December 31, 2012 for an appreciation of 57.4% over its closing price for 2013. Phillips 66 (PSX) finished 2012 with its stock price at 53.10 up 19.36 points from its opening price of 33.74 on May 1, 2012 for an appreciation of 57.4% over its opening price for 2012. Bartlesville Radio reported on May 10, 2018 that the board of directors of Phillips 66 has declared a quarterly dividend of 80 cents per share on Phillips 66 common stock, an increase of 14 percent. Reuters reported on May 3, 2017 that Phillips 66 increased their quarterly dividend by 11 percent to $0.70 per share. Houston Business Journal reported on October 6, 2016 that Phillips 66’s board of directors declared a quarterly dividend of 63 cents per share on the company’s common stock payable December 1, 2016 to shareholders of record as of the close of business on November 17, 2016. Phillips 66 reported on October 9, 2015 that the company has declared a quarterly dividend of 56 cents per share on Phillips 66 common stock. The dividend is payable on Dec. 1, 2015, to shareholders of record as of the close of business on Nov. 13, 2015. Dakota Financial News reported on July 8, 2015 that Phillips shareholders of record on August 17, 2015 will be paid a dividend of 0.56 per share on September 1, 2015. This represents a $2.24 annualized dividend and a yield of 2.85%. The Legacy reported on May 13, 2015 that Phillips declared a quarterly dividend on May 6th, 2015. This is an increase from Phillips 66’s previous quarterly dividend of $0.50. Phillips 66 reported on February 4, 2015 that the board of directors of Phillips 66 has declared a quarterly dividend of 50 cents per share on Phillips 66 common stock. The dividend is payable on March 2, 2015, to shareholders of record as of the close of business on Feb. 17, 2015. The Herald Online reported on October 1, 2014 that the board of directors of Phillips 66 declared a quarterly dividend of 50 cents per share on Phillips 66 common stock payable on Dec. 1, 2014 to shareholders of record as of the close of business on Nov. 14, 2014. Watchlist News reported on July 10, 2014 that Phillips announced that investors of record on August 15th will be paid a dividend of 0.50 per share on September 2nd. Reuters reported on May 7, 2014 that Phillips declared a dividend of 50 cents payable on June 2 to common shareholders of record by May 19 raising its quarterly dividend by 28 percent. Greg Garland told security analysts at the Credit Suisse Global Energy Summit on February 12, 2014 that Phillips believes in bulletproof dividends. "We think that growing shareholder distributions is key to growing total shareholder return. We believe in bullet proof dividends. We believe in not only secure but growing dividends and competitive dividends. We nearly doubled the dividends since the spin." Marketwatch reported on February 7, 2014 that the board of directors of Phillips has declared a quarterly dividend of 39 cents per share on Phillips 66 common stock payable on March 3, 2014, to shareholders of record at the close of business on Feb. 18, 2014. Businesswire reported on December 6, 2013 that Phillips' board of directors has approved a new $2 billion share repurchase program, consistent with the company's strategy to grow shareholder distributions. “Returning capital to our shareholders is fundamental to creating value and delivering superior total shareholder returns,” said Phillips 66 Chairman and CEO Greg Garland. “Our disciplined capital allocation process complements these distributions with capital spending and reinvestment in our higher-valued businesses.” The shares will be repurchased from time to time in the open market at the company's discretion, subject to market conditions and other factors, and in accordance with applicable regulatory requirements. Seeking Alpha reported on October 2, 2013 that the board of directors of Phillips declared a quarterly dividend of 39 cents per share on Phillips 66 common stock, representing an increase of approximately 25 percent from the prior quarter. The dividend is payable on Dec. 2, 2013, to shareholders of record at the close of business on Nov. 14, 2013. "Our objective is to consistently increase shareholder distributions, while also capturing attractive opportunities to reinvest in our businesses and grow future returns," said Phillips 66 Chairman and CEO Greg Garland. Returning capital to our shareholders remains a priority for Phillips 66, and we are pleased to deliver another increase in our quarterly dividend." istockanalyst reported on July 10, 2013 that Phillips declared a quarterly dividend of 31.25 cents per share payable on September 3, 2013, to shareholders of record at the close of business on August 16, 2013. The Wall Street Journal reported on May 8, 2013 that Phillips declared a quarterly dividend of 31.25 cents per share payable on June 3, 2013, to shareholders of record at the close of business on May 20, 2013. Investors Business Daily reported on February 11, 2013 that Phillips declared a quarterly dividend of 31.25 cents per share payable on March 1, 2013, to shareholders of record at the close of business on Feb. 18, 2013. Bloomberg reported on December 7, 2012 that Phillips has announced that the company is raising its quarterly dividend to 31.25 cents per share from 25 cents. The new dividend will be paid in the first quarter of 2013. Phillips 66 also said it approved the repurchase of another $1 billion in company stock. It approved the repurchase of $1 billion shares during the third quarter as well. Greg Garland told Phillips stockholders at the first meeting that Phillips had executed the spin-off from ConocoPhillips flawlessly. "When you think about the Company, we had a strong operating performance. We ran well," said Garland. "We stood up the Company in a very favorable margin environment, so all those things came together for really strong year of financial performance for our Company. We delivered $5.4 billion of [adjusted] net income in 2012. Our return on capital employed was 22%. We're so proud of our employees and what they accomplished in standing up the Company, but also for their commitment and their dedication in creating and capturing value for our shareholders." 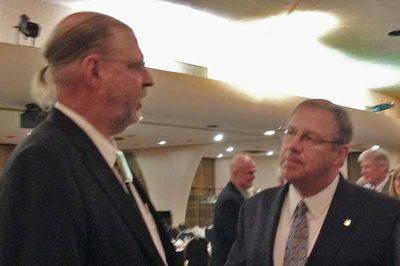 Garland received questions from stockholders John Pajak who works at the Bayway Refinery and commended Phillips for its repsonse to Hurricane Sandy. Stockholder Jimmie Dunn commended Phillips on its first year performance and asked why Phillips bought back stock rather than increasing the dividends. Stockholder Governor Clements said he was very pleased with Phillips' performance. Stockholder Jim White said he was a suppler to Phillips and commended Phillips for the response post superstorm Sandy and for Phillips ongoing commitment to family values and safety. Stockholder Michael Mulvany, the business manager for a local steamfitters union headquartered out of North New Jersey, thanked Phillips for their commitment to safety. "My union's relationship with that refinery goes back 103 years when Mr. John D. Rockefeller opened up Standard Oil," said Mulvany. "We've been there when it was Exxon, Tosco, ConocoPhillips and now Phillips 66. And we're hoping to be there another 103 years with all you fellows, and your good team of leadership." 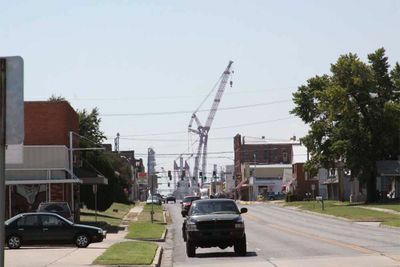 Stockholder Caroline Hockley asked about Phillips controlled pipelines and Garland responded that Phillips has "a state-of-the-art controlled facility, one of the newest and, I think, best in the industry in Bartlesville, Oklahoma." Stockholder Jimmie Dunn asked how he could get a tide in ConocoPhillips "beautiful hot air balloon." The Herald Online reported on April 17, 2013 that will host its First Annual Meeting of Stockholders on Wednesday, May 8, 2013 at 9:00 a.m. CDT at the Marriott Houston Westchase at 2900 Briarpark Drive, Houston 77042. Stockholders must present an admission ticket or proof of ownership of Phillips 66 stock, as well as valid picture identification, to enter the meeting. Phillips also encourages company employees to attend the meeting. Phillips 66 (NYSE: PSX), an energy manufacturing and logistics company, announces second-quarter earnings of $496 million, compared with $385 million in the first quarter of 2016. Adjusted earnings were $499 million, an increase of $139 million from the last quarter. "We operated well during the quarter and delivered industry-leading safety performance," said Greg Garland, chairman and CEO of Phillips 66. "Refining ran at record utilization rates, Chemicals successfully completed major turnarounds, and DCP Midstream had improved results. We experienced increased demand across our businesses." "During the quarter, we generated $1.8 billion in cash from our operations and a PSXP equity offering. We reinvested $620 million into our businesses and returned $570 million of capital to shareholders through dividends and share repurchases. In addition, during the quarter we raised our quarterly dividend 12.5 percent, our sixth increase since the formation of our company," said Garland. Refining's second-quarter earnings were $149 million, compared with $86 million in the first quarter of 2016. Refining earnings in the second quarter of 2016 included a net charge of $3 million from special items, primarily related to a long-term logistics commitment, partially offset by a favorable U.K. tax settlement. Refining's adjusted earnings were $152 million in the second quarter, compared with $86 million in the first quarter of 2016. The increase in adjusted earnings was largely driven by increased volumes. Phillips 66’s worldwide refining operations achieved 100 percent crude utilization, compared with 94 percent in the first quarter. Despite higher worldwide market crack spreads, realized margins were flat compared to the prior quarter primarily due to lower clean product differentials and lower secondary product margins due to rising crude prices. Turnaround costs for the second quarter were $69 million. Phillips 66's worldwide clean product yield was 84 percent in the second quarter, compared with 82 percent in the first quarter. Midstream's second-quarter earnings were $39 million, compared with $65 million in the first quarter of 2016. The first-quarter Midstream earnings included a net benefit of $25 million from special items, primarily related to proceeds from a favorable legal settlement at DCP Midstream, LLC (DCP Midstream). Midstream's second-quarter adjusted earnings were $39 million, in line with the first quarter of 2016. The second-quarter results were impacted by planned maintenance, losses from the timing of seasonal propane and butane storage, project expenses related to the Freeport LPG Terminal and lower earnings from the Rockies Express Pipeline joint venture. These items were largely offset by higher fractionation and transportation volumes, as well as improved results from DCP Midstream. For the second quarter, the company’s equity investment in DCP Midstream had a loss of $9 million, compared with a $21 million adjusted loss in the prior quarter. Results benefited from improved commodity prices, improved asset performance, favorable contract restructuring efforts and cost reduction initiatives. The Chemicals segment reflects Phillips 66's equity investment in Chevron Phillips Chemical Company LLC (CPChem). Chemicals' second-quarter earnings were $190 million, compared with $156 million in the first quarter of 2016. During the second quarter, CPChem's Olefins and Polyolefins business contributed $170 million to Phillips 66's Chemicals earnings. This was an increase of $25 million compared with the prior quarter, primarily due to higher polyethylene sales prices and margins. Equity earnings were also up due to improved margins. Global utilization for O&P was 91 percent, reflecting planned maintenance, compared with 93 percent in the first quarter. CPChem's Specialties, Aromatics and Styrenics business contributed $25 million of earnings in the second quarter, an increase of $9 million from the prior quarter. The increase was primarily from improved earnings at CPChem's SA&S equity affiliates due to higher sales prices. Marketing and Specialties (M&S) second-quarter earnings were $229 million, compared with $205 million in the first quarter of 2016. Earnings for Marketing and Other were $199 million, an increase of $37 million from the prior quarter. The increase in earnings was largely due to improved international retail margins and higher domestic marketing volumes reflecting improved seasonal demand. Refined product exports in the second quarter were 174,000 barrels per day (BPD), versus 126,000 BPD in the prior quarter. Phillips 66’s Specialties businesses generated earnings of $30 million during the second quarter. The $13 million decrease from the prior quarter was mainly due to narrower base oil margins. Corporate and Other’s second-quarter net costs were $111 million, compared with $127 million in the first quarter of 2016. The $16 million improvement was primarily due to reduced environmental accruals and lower taxes. During the second quarter, Phillips 66 generated $1.2 billion of cash from operations. Excluding working capital impacts, operating cash flow was $560 million. Working capital changes were primarily driven by increases in commodity prices and the timing of Marketing receipts. Capital expenditures and investments totaled $620 million. Phillips 66 returned $571 million to shareholders during the quarter, consisting of $329 million in dividends and the repurchase of 3 million shares of common stock for $242 million. Since July 2012, the company has returned $12.3 billion to shareholders in the form of dividends, share repurchases and share exchange. Phillips 66 ended the quarter with 523 million shares outstanding. As of June 30, 2016, cash and cash equivalents were $2.2 billion and debt was $8.9 billion, including $1.1 billion of debt at Phillips 66 Partners (PSXP). The company's consolidated debt-to-capital ratio and net-debt-to-capital ratio were 27 percent and 22 percent, respectively. Phillips 66 continues to evaluate its portfolio of assets and opportunities to ensure investments deliver value. CPChem's world-scale U.S. Gulf Coast Petrochemicals Project is approximately 80 percent complete, with startup expected in the second half of 2017. This project consists of an ethane cracker and related polyethylene facilities that will increase CPChem's global ethylene and polyethylene capacity by approximately one-third. In Refining, progress continues on several high-return projects. The Wood River Refinery has debottlenecking and yield improvement projects that are scheduled for completion in the third quarter. The Billings Refinery is increasing its heavy Canadian crude run ability to 100 percent. This project is expected to be complete in the first half of 2017, while the Bayway Refinery is undergoing an FCC modernization to increase gasoline yield, expected in 2018. In Midstream, the Freeport LPG Export Terminal is nearing completion. The project is on budget with startup expected by year-end. Phillips 66 continues to invest in its Beaumont Terminal, the largest terminal in the company's portfolio. The terminal has 3.2 million barrels of new storage capacity under construction; 2 million barrels of additional crude storage are expected to be in service by year-end and 1.2 million barrels of additional product storage are expected to be in operation by mid-2017. In May 2016, Phillips 66 contributed the remaining 75 percent interest in the Sweeny fractionator and associated NGL storage caverns along with the Standish Pipeline to PSXP for total consideration of $775 million. Transaction consideration consisted of the Partnership assuming $675 million of notes payable to Phillips 66 and the company's receipt of $100 million in newly issued PSXP units. PSXP used the net proceeds of $656 million from a public unit offering to repay debt assumed. Phillips 66 is participating in joint ventures to develop the approximately 470,000 BPD Dakota Access Pipeline (DAPL) and Energy Transfer Crude Oil Pipeline (ETCOP) projects. Phillips 66 has a 25 percent interest in these joint ventures. The pipeline projects remain on schedule and are expected to be ready for service by the end of 2016. Phillips 66 (NYSE: PSX), an energy manufacturing and logistics company, announces first-quarter earnings of $385 million, compared with $650 million in the fourth quarter of 2015. Adjusted earnings were $360 million, a decrease of $350 million from the last quarter. Refining adjusted earnings were $86 million in the first quarter, compared with $376 million in the fourth quarter of 2015. The decrease in earnings was largely driven by lower worldwide gasoline and distillate margins. Market crack spreads were $10.64 per barrel, down 17 percent from the prior quarter, and the distillate market crack spread was the lowest since 2010. The Central Corridor and West Coast regions were most impacted by weaker margins, with 24 and 26 percent decreases in market crack spreads, respectively. Phillips 66's worldwide clean product yield was 82 percent in the first quarter, compared with 85 percent in the fourth quarter, primarily due to planned and accelerated maintenance on secondary units. Market capture was 67 percent in the first quarter, down from 74 percent in the fourth quarter. Turnaround costs for the first quarter were $115 million. Phillips 66’s worldwide refining crude utilization was 94 percent, consistent with the prior quarter. Utilization in the first quarter was impacted by run cuts at certain refineries due to market conditions. Phillips 66's Midstream first-quarter adjusted earnings were $40 million, a decrease of $2 million from the fourth quarter of 2015. Adjusted earnings from Phillips 66’s Transportation business were $72 million during the first quarter, a decrease of $6 million from the fourth quarter. Results were impacted by lower earnings from the Rockies Express and Explorer pipeline joint ventures and higher property taxes. Phillips 66's NGL business generated a loss of $11 million in the first quarter. The $9 million decrease from the prior quarter's adjusted results was largely related to seasonal storage activity, partially offset by lower taxes in the first quarter. Additionally, fractionation processing volumes were limited by heavier incoming NGL composition and turnaround activity. Phillips 66 Partners (PSXP) contributed $32 million to the Midstream segment's first-quarter earnings. Distributions per limited partner unit increased by 5 percent from the fourth quarter to $0.481 per unit. Distributions to Phillips 66 from PSXP were up 7 percent in the first quarter, compared with the prior quarter, reflecting the positive impact of incentive distribution rights. For the first quarter, the company’s equity investment in DCP Midstream, LLC (DCP Midstream) had an adjusted loss of $21 million, compared with a $34 million adjusted loss in the prior quarter, as low commodity prices continued to impact DCP Midstream's results. Compared with the prior quarter, results benefited from improved reliability, higher earnings from DCP Midstream's increased interests in the Sand Hills and Southern Hills pipelines and favorable contract restructuring efforts. The Chemicals segment reflects Phillips 66's equity investment in Chevron Phillips Chemical Company LLC (CPChem). First-quarter Chemicals adjusted earnings were $156 million, compared with $182 million in the fourth quarter of 2015. During the first quarter, CPChem's Olefins and Polyolefins business contributed $145 million to Phillips 66's Chemicals earnings. This was a decrease of $36 million compared with the prior quarter, primarily due to a decline in cash chain margins, largely driven by lower polyethylene sales prices. Global utilization for O&P was 93 percent, up from 92 percent in the fourth quarter, reflecting good demand. CPChem's Specialties, Aromatics and Styrenics business contributed $16 million of adjusted earnings in the first quarter, an increase of $7 million from the prior quarter. The increase was primarily from improved earnings at CPChem's SA&S equity affiliates due to higher volumes. Marketing and Specialties (M&S) first-quarter adjusted earnings were $205 million, compared with $227 million in the fourth quarter of 2015. Adjusted earnings for Marketing and Other were $162 million, a decrease of $36 million from the prior quarter. The decrease in earnings was largely due to lower biodiesel tax credits. While domestic marketing margins were improved for the quarter, the benefit was mostly offset by lower international marketing margins. Refined product exports in the first quarter were 126,000 barrels per day (BPD), versus 127,000 BPD in the prior quarter. Phillips 66’s Specialties businesses generated adjusted earnings of $43 million during the first quarter. The $14 million increase from the prior quarter was mainly due to improved base oil margins. Corporate and Other adjusted costs were $127 million after-tax in the first quarter, an increase of $10 million compared with the prior quarter, primarily due to lower capitalized interest as a result of the Sweeny fractionator startup in December 2015. During the first quarter, Phillips 66 generated $722 million of cash from operations, excluding working capital. Including the impact of working capital, operating cash flow was $258 million. Capital expenditures and investments totaled $750 million. Phillips 66 returned $687 million to shareholders during the quarter, consisting of $296 million in dividends and the repurchase of 5 million shares of common stock for $391 million. Since July 2012, the company has returned $11.8 billion to shareholders in the form of dividends, share repurchases and share exchange. Phillips 66 ended the quarter with 526 million shares outstanding. As of March 31, 2016, cash and cash equivalents were $1.7 billion and debt was $8.8 billion, including $1.1 billion of debt at Phillips 66 Partners. The company's consolidated debt-to-capital ratio was 27 percent. Development of the Sweeny Hub is nearing completion with construction of the LPG Export Terminal approximately 80 percent complete. The project is on time and on budget with startup expected in the second half of 2016. The company is participating in joint ventures to develop the approximately 470,000 BPD Dakota Access Pipeline (DAPL) and Energy Transfer Crude Oil Pipeline (ETCOP) system. Phillips 66 has a 25 percent interest in these joint ventures with Energy Transfer Partners and Sunoco Logistics Partners. Mechanical completion is expected in the fourth quarter of 2016. Phillips 66 is continuing to invest in its Beaumont Terminal, the largest terminal in the company's portfolio. The terminal has 3.2 million barrels of new storage capacity under construction. In addition, a variety of other projects aimed at increasing storage and throughput capabilities at the terminal have been initiated. On March 1, 2016, Phillips 66 contributed a 25 percent controlling interest in the Sweeny fractionator and associated Clemens Caverns NGL storage facility to its master limited partnership, Phillips 66 Partners, for total consideration of $236 million. Transaction consideration consisted of $24 million in newly issued PSXP units and a $212 million note payable to Phillips 66. In addition, Phillips 66 Partners reached a milestone with the recent startup of the first segment of the Bayou Bridge Pipeline. This initial leg delivers crude oil from the Phillips 66 Beaumont Terminal in Nederland, Texas, to the Phillips 66 Partners Clifton Ridge Terminal in Lake Charles, Louisiana. In Chemicals, overall progress on CPChem's world-scale U.S. Gulf Coast Petrochemicals Project is approximately 75 percent complete, with startup expected in mid-2017. This project consists of an ethane cracker and related polyethylene facilities that will increase CPChem's global ethylene and polyethylene capacity by approximately one-third. Phillips 66 (NYSE: PSX), an energy manufacturing and logistics company, announces fourth-quarter earnings of $650 million, compared with earnings of $1,578 million in the third quarter of 2015. Adjusted earnings, excluding special items of $60 million, were $710 million. “We operated well in the quarter, as refining capacity utilization remained high and clean product yield increased," said Greg Garland, Chairman and CEO. "We also reached a significant milestone with the Sweeny Fractionator One and Clemens Caverns coming online. Solid execution in the fourth quarter generated $1.5 billion of cash from operations, and we returned over $700 million to shareholders through dividends and share repurchases." "Our financial performance in 2015 demonstrates the resiliency of our diversified portfolio in a low commodity price environment. We create value by focusing on operating excellence, enhancing Refining returns, and delivering on our Midstream and Chemicals growth programs. Our balance sheet is strong, and we maintain a disciplined approach to capital allocation. We remain firmly focused on these core priorities in 2016." Refining adjusted earnings were $376 million in the fourth quarter, compared with $1,052 million in the third quarter. The decrease in earnings was largely driven by lower realized margins due to a 35 percent decline in global market cracks compared to the third quarter. Fourth-quarter gasoline market cracks dropped to $12.72 per barrel, compared with $21.44 per barrel during the third quarter, while distillate cracks declined from $15.67 per barrel to $12.86 per barrel for the same period. Market capture increased to 74 percent, compared with 72 percent in the prior quarter. Phillips 66's refining utilization and worldwide clean product yield were 94 percent and 85 percent, respectively, in the fourth quarter. Turnaround costs for the fourth quarter were $130 million pre-tax, primarily relating to the Western/Pacific Region. Refining's earnings in the fourth quarter were impacted by certain tax impacts, including a $91 million benefit resulting from a change in German tax law. Additionally, the WRB joint venture recognized a lower-of-cost-or-market inventory adjustment resulting from declining commodity prices, which negatively impacted earnings from Phillips 66’s equity investment in WRB Refining LP by $33 million after-tax. These items were excluded from adjusted earnings. Phillips 66's Midstream fourth-quarter adjusted earnings were $42 million, a decrease of $49 million from the third quarter. Phillips 66’s Transportation business generated adjusted earnings of $78 million during the fourth quarter, consistent with the third quarter. NGL adjusted losses were $2 million for the fourth quarter. The $34 million decrease from the prior quarter was largely driven by the timing of adjustments related to the tax extenders bill, signed in December, as well as additional costs associated with the Sweeny Hub. Phillips 66 Partners (PSXP) contributed $37 million to the Midstream segment's fourth-quarter earnings. PSXP's limited partner distribution increased to $0.458 per unit, a 7 percent increase from the third quarter. Distributions to Phillips 66 from PSXP increased 14 percent in the fourth quarter, compared with the prior quarter, reflecting the impact of incentive distribution rights. For the fourth quarter of 2015, the company’s equity investment in DCP Midstream, LLC (DCP Midstream) had an adjusted loss of $34 million, compared with an $18 million adjusted loss in the prior quarter. DCP Midstream's lower results were primarily due to lower natural gas and natural gas liquids marketing margins, as well as the impact of lower commodity prices. During the fourth quarter, DCP Midstream recognized asset impairments primarily as a result of the continuing low commodity price environment. The impairments negatively impacted earnings from Phillips 66’s equity investment in DCP Midstream by $104 million after-tax, and were excluded from adjusted earnings. The Chemicals segment reflects Phillips 66's equity investment in Chevron Phillips Chemical Company LLC (CPChem). Fourth-quarter Chemicals adjusted earnings were $182 million, compared with adjusted earnings of $272 million in the third quarter. During the fourth quarter, CPChem's Olefins and Polyolefins business contributed $181 million to Phillips 66's Chemicals earnings. This was a decrease of $80 million compared with the prior quarter largely due to reduced margins, as well as decreased equity earnings. Turnaround and maintenance activity in the fourth quarter increased operating costs and decreased global utilization for O&P to 92 percent compared with 94 percent in the third quarter. CPChem's Specialties, Aromatics and Styrenics business contributed $9 million of adjusted earnings in the fourth quarter, a decrease of $8 million from the prior quarter primarily due to lower earnings at CPChem's SA&S equity affiliates as a result of planned turnarounds and lower margins. Chemicals earnings for the fourth quarter were positively impacted by a $34 million tax adjustment. This item was excluded from adjusted earnings. Marketing and Specialties (M&S) fourth-quarter adjusted earnings were $227 million, compared with $344 million in the third quarter. Adjusted earnings for Marketing and Other were $198 million, a decrease of $93 million from the prior quarter. The decrease in earnings was largely due to lower realized margins driven by less favorable market conditions relative to the third quarter. Refined product exports in the fourth quarter were 127,000 barrels per day (BPD), compared with 118,000 BPD in the prior quarter. Phillips 66’s Specialties businesses generated adjusted earnings of $29 million during the fourth quarter. The $24 million decrease from the prior quarter was mainly due to reduced base oil margins, as well as lower finished lubricants margins and volumes. Corporate and Other adjusted costs were $117 million after-tax in the fourth quarter, an increase of $5 million compared with the prior quarter. During the fourth quarter, Phillips 66 generated $1.5 billion of cash from operations. Operating cash flow excluding working capital changes was $1.8 billion. Capital expenditures and investments totaled $2.5 billion, supporting execution of the company's Midstream growth strategy, as well as the DCP Midstream recapitalization. The recapitalization, which included the company's $1.5 billion contribution to DCP Midstream, provides DCP Midstream with a stronger balance sheet and increased financial flexibility through the commodity cycle. Phillips 66 returned $704 million to shareholders during the quarter, consisting of $298 million in dividends and the repurchase of 4.7 million shares of common stock for $406 million. For the year, the company repurchased 19.3 million shares of common stock for $1.5 billion, paid $1.2 billion in dividends, and increased the quarterly dividend by 12 percent. Since July 2012, the company has repurchased 92.5 million shares for $6.4 billion. Phillips 66 ended the quarter with 529 million shares outstanding. As of Dec. 31, 2015, cash and cash equivalents were $3.1 billion and debt was $8.9 billion, including $1.1 billion at Phillips 66 Partners. The company's consolidated debt-to-capital ratio was 27 percent. Excluding Phillips 66 Partners, the debt-to-capital ratio was 25 percent. Additionally, Phillips 66 reported a 2015 return on capital employed (ROCE) of 14 percent. The company continues to execute on its plan to grow the Midstream and Chemicals businesses, while maintaining commitments to shareholder distributions, financial flexibility and a strong balance sheet. Midstream growth is fueled in part by robust operating cash flows generated by the company’s Refining and M&S operations. In addition, PSXP provides a cost-efficient vehicle to fund that growth and invest in fee-based infrastructure, as demonstrated by the $1.5 billion raised by PSXP in debt and equity offerings in the first quarter of 2015. The company continued development of the Sweeny Hub with the 100,000 BPD Sweeny Fractionator One and Clemens Caverns projects, which came online in the fourth quarter. Construction of the 150,000 BPD Freeport LPG Export Terminal is on schedule and on budget with startup expected in the second half of 2016. The company is participating in joint ventures to develop the approximately 470,000 BPD Dakota Access Pipeline (DAPL) and Energy Transfer Crude Oil Pipeline (ETCOP) system. Phillips 66 has a 25 percent interest in these joint ventures with Energy Transfer Partners and Sunoco Logistics Partners. Commercial operations are expected to begin in the fourth quarter of 2016. In the fourth quarter of 2015, Phillips 66 Partners acquired Phillips 66's interest in the Bayou Bridge Pipeline joint venture. The joint venture was created to develop a pipeline from the Phillips 66 and Sunoco Logistics terminals in Nederland, Texas, to St. James, Louisiana. Construction is underway on the first segment of the pipeline, which will deliver crude oil from Nederland to Lake Charles, Louisiana. Commercial operations on this segment are expected to begin by the end of first-quarter 2016. In Chemicals, overall progress on CPChem's world-scale U.S. Gulf Coast Petrochemicals Project is now approaching 70 percent completion, with startup expected in mid-2017. This project consists of an ethane cracker and related polyethylene facilities that will increase CPChem's U.S. ethylene and polyethylene capacity by more than 40 percent. Phillips 66 reported on October 30, 2015 that the company had third-quarter earnings of $1,578 million, compared with earnings of $1,012 million in the second quarter of 2015. Adjusted earnings were $1,647 million, an increase of $645 million from the last quarter. Refining adjusted earnings were $1,052 million in the third quarter, compared with $604 million in the second quarter. The increase in earnings was largely driven by improved realized gasoline and secondary product margins, as well as higher volumes. Global realized margins improved $2.26 per barrel, while market capture increased to 72 percent, compared with 62 percent in the prior quarter. Phillips 66’s worldwide refining crude utilization increased to 96 percent, compared to 90 percent in the second quarter. The improvement was primarily due to the completion of a major turnaround at the Humber Refinery in the U.K. early in the third quarter, as well as higher utilization in the Gulf Coast. Turnaround costs for the third quarter were $69 million. Phillips 66's worldwide clean product yield was 84 percent in the third quarter. Phillips 66's Midstream third-quarter adjusted earnings were $91 million, an increase of $43 million from the second quarter. Phillips 66’s Transportation business generated earnings of $77 million during the third quarter, an increase of $12 million from the second quarter. Improved earnings were due to lower operating costs and increased equity earnings primarily driven by higher volumes. Adjusted earnings from the NGL business were $32 million for the third quarter. The $24 million increase from the prior quarter was largely related to higher realized margins, as well as inventory gains. Phillips 66 Partners (PSXP) contributed $31 million to the Midstream segment's third-quarter earnings. Distributions per limited partner unit increased by 7 percent from the second quarter to $0.428 per unit. Distributions to Phillips 66 from PSXP were up 13 percent in the third quarter, compared with the prior quarter, reflecting the impact of incentive distribution rights. For the third quarter of 2015, the company’s equity investment in DCP Midstream, LLC (DCP Midstream) had an adjusted loss of $18 million, compared with a $25 million adjusted loss in the prior quarter. DCP Midstream's improved results were primarily due to higher natural gas and natural gas liquids marketing margins, as well as the second-quarter loss on the sale of its interest in the Benedum gas processing plant, partially offset by lower commodity prices. The Chemicals segment reflects Phillips 66's equity investment in Chevron Phillips Chemical Company LLC (CPChem). Third-quarter Chemicals adjusted earnings were $272 million, compared with earnings of $295 million in the second quarter. During the third quarter, CPChem's Olefins and Polyolefins business contributed $261 million to Phillips 66's Chemicals earnings. This was a decrease of $6 million compared with the prior quarter, as higher sales volumes and lower operating costs primarily due to lower turnaround activity were more than offset by insurance recoveries recognized in the prior quarter and lower ethylene margins. Global utilization for O&P was 94 percent, up from 91 percent in the second quarter. CPChem's Specialties, Aromatics and Styrenics business contributed $17 million of adjusted earnings in the third quarter, a decrease of $21 million from the prior quarter. The decrease was primarily due to lower earnings at CPChem's SA&S equity affiliates, as well as lower volumes. Marketing and Specialties (M&S) third-quarter adjusted earnings were $344 million, compared with $182 million in the second quarter. Adjusted earnings for Marketing and Other were $291 million, an increase of $157 million from the prior quarter. The increase in earnings was largely due to improved realized global margins driven by favorable market conditions, as well as continued high volumes. Refined product exports in the third quarter were 118,000 barrels per day (BPD), compared with 143,000 BPD in the prior quarter. The decrease in exports was primarily due to advantaged domestic markets. Phillips 66’s Specialties businesses generated earnings of $53 million during the third quarter. The $5 million increase from the prior quarter was mainly due to improved lubricants margins. Corporate and Other adjusted costs were $112 million after-tax in the third quarter, an improvement of $15 million compared to the prior quarter. During the third quarter, Phillips 66 generated $1.4 billion of cash from operations. Operating cash flow excluding working capital changes was $1.5 billion. Capital expenditures and investments totaled $1.0 billion, primarily supporting execution of the company's Midstream growth strategy. Phillips 66 returned $673 million to shareholders during the quarter, consisting of $300 million in dividends and the repurchase of 4.7 million shares of common stock for $373 million. Since July 2012, the company has repurchased 88 million shares for $6 billion and increased its quarterly dividend by 180 percent to $0.56 per share. Phillips 66 ended the quarter with 533 million shares outstanding. Phillips 66 recently announced a $2 billion increase to its share repurchase program, resulting in approximately $3 billion of remaining capacity under its current authorization. As of Sept. 30, 2015, cash and cash equivalents were $4.8 billion and debt was $9.0 billion, including $1.1 billion in Phillips 66 Partners. The company's consolidated debt-to-capital ratio was 27 percent. Excluding Phillips 66 Partners, the debt-to-capital ratio was 25 percent. Additionally, Phillips 66 reported a year-to-date annualized return on capital employed (ROCE) of 16 percent and a year-to-date annualized adjusted ROCE of 15 percent. Phillips 66 continues to execute its strategy to grow its higher-valued Midstream and Chemicals businesses and enhance Refining returns, while returning capital to shareholders in the form of dividends and share repurchases. Phillips 66's 2015 capital budget is primarily focused on major Midstream growth projects. Through the end of the third quarter, total capital expenditures for 2015 were $3.3 billion. Approximately two-thirds of the 2016 capital budget is allocated to growth capital, mostly related to Midstream projects, as well as Refining projects to improve product yields and lower feedstock costs. The remainder is sustaining capital, primarily to be invested in Refining reliability, safety and environmental projects. The 2016 capital spending for joint ventures DCP Midstream, CPChem, and WRB Refining is expected to be self-funded. Phillips 66 has executed an agreement with Spectra Energy Corp and DCP Midstream under which Phillips 66 will contribute $1.5 billion in cash and Spectra Energy will contribute its one-third ownership interests in the Sand Hills and Southern Hills pipelines to DCP Midstream. These equity contributions will provide DCP Midstream with a stronger balance sheet and increased financial flexibility, while positioning it to grow through future commodity cycles. The transaction is expected to close later today. Development of the $3 billion Sweeny Hub is ongoing with the startup of the 100,000 BPD Sweeny Fractionator One expected by year end. Additionally, the 150,000 BPD Freeport LPG Export Terminal startup is expected in the second half of 2016. Bayou Bridge Pipeline, LLC is a joint venture developing a pipeline from the Phillips 66 and Sunoco Logistics terminals in Nederland, Texas, to St. James, Louisiana. Construction is underway on the first segment of the pipeline, which will deliver crude oil from Nederland, Texas, to Lake Charles, Louisiana. Commercial operations for this segment are expected to begin in the first quarter of 2016. The joint venture has commenced an expansion open season for service from Lake Charles to St. James to determine the pipeline diameter of this segment, which is scheduled to commence service in the second half of 2017. Phillips 66 Partners has agreed to acquire Phillips 66's 40 percent interest in Bayou Bridge in the fourth quarter of 2015. In Chemicals, overall progress on CPChem's world-scale U.S. Gulf Coast Petrochemicals Project is approximately 60 percent complete, with startup expected in mid-2017. This $6 billion project consists of an ethane cracker and related polyethylene facilities that will increase CPChem's U.S. olefins and polyolefins capacity by approximately one-third. The Chemicals segment reflects Phillips 66's equity investment in Chevron Phillips Chemical Company LLC (CPChem). Second-quarter Chemicals earnings were $295 million, compared with earnings of $203 million in the first quarter of 2015. During the second quarter, CPChem's Olefins and Polyolefins business contributed $267 million to Phillips 66's Chemicals earnings. The $84 million improvement from the prior quarter was mainly due to increased polyethylene sales volumes on strong product demand and improved O&P cash chain margins, driven by lower ethylene feedstock costs and higher polyethylene sales prices. CPChem's equity affiliate earnings also improved as a result of higher sales prices, as well as increased volumes due to the completion of turnaround activity in the first quarter. Global utilization for O&P was 91 percent during the quarter, up from 87 percent in the first quarter, primarily reflecting reduced turnaround activity. 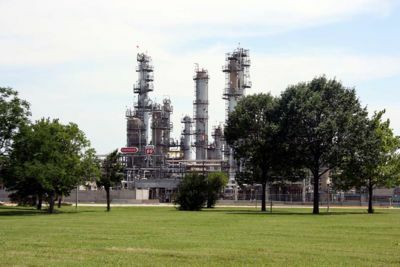 Final insurance recoveries related to CPChem's 2014 Port Arthur ethylene plant outage increased earnings in the second quarter. CPChem's Specialties, Aromatics and Styrenics business contributed $38 million of earnings in the second quarter, an increase of $12 million from the prior quarter. The increase was primarily due to improved margins at CPChem's SA&S equity affiliates. Businesswire reported on April 30, 2015 that Phillips announced first-quarter earnings of $987 million, compared with earnings of $1.1 billion during the fourth quarter of 2014. Adjusted earnings were $834 million, a decrease of $79 million from the fourth quarter of 2014. “Refining market conditions helped us realize the best margins we’ve had over the last two years,” said Greg Garland, chairman and CEO of Phillips 66. “Refining utilization rates were impacted by a heavy turnaround schedule, and were further reduced by the extended turnaround at the Alliance Refinery. Our Chemicals business increased capacity utilization and had a solid quarter. The NGL market environment negatively impacted results from our DCP Midstream investment as well as our own NGL midstream business. We continued to aggressively grow Phillips 66 Partners through the drop of our interests in three pipeline systems, and Partners also made good progress on its organic growth and joint venture projects." Refining adjusted earnings were $495 million in the first quarter, compared with $322 million in the fourth quarter of 2014. The improvement was primarily due to higher realized refining margins, partially offset by lower volumes. The increase in margins was largely driven by improved secondary product margins as well as higher gasoline market crack spreads. Secondary product margins improved mainly due to lower crude costs. Crack spreads improved mainly as a result of significantly higher gasoline market cracks in the Western/Pacific. First-quarter gasoline market cracks for that region were $20.21 per barrel, compared with $7.46 per barrel during the fourth quarter of 2014. Midstream adjusted earnings were $67 million in the first quarter, compared with adjusted earnings of $97 million in the fourth quarter of 2014. During the first quarter, the company’s equity investment in DCP Midstream, LLC (DCP Midstream) had an adjusted loss of $12 million, comparable to the prior quarter. The loss was due to lower NGL, crude and natural gas prices, partially offset by the absence of hedge losses associated with the steep price declines during the fourth quarter. The Chemicals segment reflects Phillips 66's equity investment in Chevron Phillips Chemical Company LLC (CPChem). First-quarter Chemicals adjusted earnings were $203 million, compared with adjusted earnings of $270 million in the fourth quarter of 2014. Nasdaq reported on October 29, 2014 that Phillips posted adjusted third-quarter 2014 earnings of $2.02 per share, beating the Zacks Consensus Estimate of $1.69. Substantial improvement in the company's refining segment and higher marketing margins led to the outperformance. The Refining segment generated adjusted earnings of $558 million compared with a loss of $30 million in the prior-year quarter. Substantial improvement in refining margins drove the impressive results. During the quarter, the company's refining utilization was 94% and clean product yield was 84%. Phillips said its realized refining margin was $10.89 a barrel and that a record 95 percent of its crude slate came from so-called advantaged U.S. crudes. "Our operations ran well during the third quarter, capturing strong margins in our refining and marketing businesses," said Garland. The Midstream segment generated adjusted quarterly earnings of $115 million compared with $147 million in the year-ago comparable quarter. The Chemicals segment generated adjusted earnings of $299 million compared with $262 million in the year-ago quarter. Earnings in the Marketing and Specialties (M&S) segment were $259 million, up from $255 million in the prior-year comparable quarter. Reduced production costs led to higher global margins which aided the results. The Houston Business Journal reported on July 30, 2014 that Phillips fell short of estimates with a nearly 10 percent drop in second-quarter earnings from the same period in 2013 with $863 million in earnings compared to $958 million for the the second quarter of 2013. The company was boosted by its growth in the chemical sector, but its refining revenues dipped noticeably decreasing 14 percent to $390 million partly to weaker refining margins . "Chemicals earnings were driven by strong olefin and polyolefin chain margins," said Garland. "Refining benefited from higher utilization; however, our market capture rate declined." Garland did not elaborate on a recent fire in July at a Chevron Phillips Chemical Company LLC plant in Port Arthur that involved injuries, but he did say the facility should not be shut down for much longer. "There's no reason for that unit to be down for a prolonged period of time," he said. Phillips also reported growth in its midstream segment growing earnings from $90 million in the April-June quarter of 2013 to $108 million this year. But Jeff Dietert, an analyst with Simmons & Company International, said the results fell short of his projection that the midstream segment would report $150 million in second-quarter profit. The Wall Street Journal reported on April 30, 2014 that Phillips announced first-quarter earnings of $1.6 billion and adjusted earnings of $866 million excluding $706 million primarily related to the realized gain on the Phillips Specialty Products Inc. (PSPI) exchange. This compares with fourth-quarter 2013 earnings of $826 million and adjusted earnings of $808 million. "We delivered a strong quarter, with solid performance and improved margins in our Midstream and Chemicals businesses," said Greg Garland, chairman and CEO of Phillips 66. "Our Refining results were impacted by planned downtime at several of our Gulf Coast and Central Corridor refineries and tightening crude spreads." Midstream recorded $188 million of earnings during the first quarter of 2014, $67 million higher than the prior quarter. The Chemicals segment reflecting Phillips's equity investment in Chevron Phillips Chemical Company LLC (CPChem) reported first-quarter 2014 Chemicals earnings of$316 million, an increase of $55 million from the prior quarter. Refining earnings were $306 million during the first quarter of 2014, compared with earnings of $418 million during the previous quarter. The decrease was primarily attributed to lower volumes due to planned turnaround and maintenance activities, as well as weaker realized refining margins. Despite higher worldwide market crack spreads, realized margins decreased mostly due to tightening crude spreads, lower clean product realizations and negative inventory impacts. Greg Garland made a presentation to analysts at the Barclay CEO Energy-Power Conference on September 3, 2014. "So here is our strategy, growth, returns, distributions. We have an unyielding commitment to operational excellence, which for us is personal safety, process safety, environmental excellence reliability, cost management and a commitment to have a high performing organization. So right people, at the right place, at the right time to execute the plan, and having people that know how to win and are committed to differentiating shareholder value. So that's kind of the strategy." "As we look at our refining business, it's run well, it's optimized, it's minimized capital investments. We won't invest in advantaged crude at the front end, exports on the backend, yield capture, energy efficiency, but really very disciplined capital investment in our refining business. Midstream business, aggressive growth and we'll go through that today as we move into the presentation. Chemicals, aggressive growth; selective growth in our marketing and specialties businesses. We're executing well. We've identified lot of growth opportunities in the company, we'll talk about today. A lot of them around midstream and logistics, ultimately destined for our master limited partnership. We've raised the dividend 28% in May and June. The board approved additional $2 billion share repurchase, so we're at $7 billion total authorization on share repurchases." Phillips reported that Greg Garland, Clayton Reasor, Tim Taylor, and Greg Maxwell presented at an Analyst Meeting on April 10, 2014. "Part of our vision is to double the enterprise value of our Company based upon its historical implied value, said Garland. "We were thoughtful, we are very purposeful in how we structured Phillips 66 from the very beginning and the assets that went into the Company. We believe that our four main business segments are more valuable together than they would be separated, and we do test that continually. We think that we access lower cost of capital. We think that, looking across the value chain, that we can optimize. We can direct capital to its highest and most best use. And then finally, we can grow quicker." Phillips reported that Clayton Reasor and Greg Maxwell presented at Bank of America Merrill Lynch 2014 Refining Conference on March 6, 2014. "We’ve got two very good refineries on the West Coast – one in San Francisco, one in L.A. – about 230,000 barrels a day of total capacity, 110,000 barrels a day of coking capacity. They are positive cash flow, they are positive net income," said Reasor. "Capital requirements aren’t that significant. So those refineries are well positioned, but they’re generating single-digit returns and struggle as far as attracting capital. We’ve talked about how to improve performance in California, and for us, it’s around increasing the amount of advantaged crude, so how do we find ways of getting Canadian crude into California? We’re in the comment period right now at Santa Maria, a 30,000 or 35,000-barrel-a-day unit train rail unloading facility, and hopefully that will be permitted. We’re also looking at other things in California to improve the performances of those businesses. But for us, we believe California will struggle being competitive in the export market, given the costs there and the lack of advantaged crudes, and longer term, we look at California and wonder if it’s something that we need to continue to own in order to grow our chemicals industry business." Phillips reported that Greg Garland Clayton Reasor presented at the Credit Suisse Energy Summit on February 12, 2014. Garland told security analysts that the Refining Business Segment is always is going to be a very volatile business for Phillips. "We don't see that changing in the future. I think small changes in operating rates in infrastructure are going to create dislocations. I think having a large system like we have, having a very sophisticated and large commercial organization like we have, we're going to be able to take advantage of those opportunities that come our way." Phillips reported that Greg Garland presented at Barclays CEO Energy-Power Conference on August 29, 2013. "It's going to be an energy century as you think about it; it's going to be a century of opportunity," said Garland. "We're very optimistic about the growth in U.S. manufacturing as people see $3.50 natural gas; they're looking at 8% unemployment. They see the investment that the industry is making in infrastructure and petrochemical facilities and etc. And we think at Phillips 66 we're extremely well-positioned to play our part in this changing American energy landscape and that we can be one of the premier companies in this space in terms of creating jobs, capturing value, providing energy and improving lives." Phillips reported that Greg Maxwell presented at the UBS Global Oil & Gas Conference on May 21, 2013. "We can run some lights in San Francisco. As far as working towards getting advantaged crudes into that, we're looking at options to take down via pipeline -- I mean via rail cars, and then also going over to the waterfront and barging down into those refineries," said Maxwell. "With regard to San Francisco and LA, land is expensive and short to come by. We have to do some permitting. And then also, bringing it in via tankers, we have to get some permitting as well. So all that's underway." Phillips reported that Tim Taylor and Greg Maxwell presented at the Citi Global Energy and Utilities Conference on May 15, 2013. "Rail for us is a relatively minor percentage of our total movement, and so we look at rail as a mobile pipeline," said Taylor at the conference. "And clearly today some of the northern plays are more oriented toward rail versus the access that you have by pipe in the southern part of the U.S. So I see rail as playing a role, but we still like pipelines. It’s more economical. But there is a lot of flexibility in rail, so I think rail continues to be a piece, but it’s not going to become the dominant mode or the primary focus." Phillips reported that they presented at the Howard Weil 41st Annual Energy Conference on March 18, 2013. The Fort Mills Times reports that Larry Ziemba, executive vice president, Refining, Project Development and Procurement of Phillips 66 will speak at the Bank of America Merrill Lynch 2013 Refining Conference in New York on Thursday, March 7 to discuss the company’s plans to enhance refining returns, as well as its overall strategy for growth and value creation. Daily Finance reported on January 22, 2013 that Tim Taylor, executive vice president, Commercial, Marketing, Transportation and Business Development of Phillips 66 will speak to investors and securities analysts at the Credit Suisse Energy Summit in Vail, Colo. on February 5, 2013 to discuss the company's strategy to enhance refining returns, grow midstream infrastructure and chemicals capacity, and increase distributions to shareholders. Phillips reported on Decmeber 13, 2012 that they had hosted their inaugural Analyst Meeting in New York to discuss their capital program of $3.7 billion for 2013, a 6 percent increase over the $3.5 billion capital spend for 2012, and how it will to enhance returns, deliver profitable growth and increase distributions to shareholders. Marketwatch reported on November 27, 2012 that Greg Garland and other executives at Phillip 66 will discuss the company's strategic objectives, including its plans to enhance returns, grow profitably and increase shareholder distributions at an Inaugural Analyst Meeting in New York on December 13, 2012. 4-traders reported on November 5, 2013 that Tim G. Taylor, executive vice president, Commercial, Marketing, Transportation and Business Development of Phillips 66 spoke to investors and securities analysts at the Bank of America Merrill Lynch 2012 Global Energy Conference in Miami, Fla. on November 13, 2012 with an overview of the company and its strategic initiatives. Phillips 66 reported that Phillips CEO Greg C. Garland spoke to investors and securities analysts at the 2012 Barclays CEO Energy-Power Conference in New York on September 5, 2012 to discuss Phillips 66's business portfolio and provide an update on the company's strategic progress. See "2012 Barclays CEO Energy-Power Conference" presented by Phillips CEO Greg Garland. September 5, 2012. Marketwatch reported on August 22, 2012 that Phillips CEO Greg C. Garland will speak to investors and securities analysts at the 2012 Barclays CEO Energy-Power Conference in New York on September 5, 20120 to discuss Phillips 66's business portfolio and provide an update on the company's strategic progress. Phillips also wants to increase yields in the refineries. "Every one percent clean product yield is worth somewhere between $100 to $150 million of net income. For every one percent diesel yield, we can increase, in today’s market is the capture of about $60 million in net income. In the first quarter we ran about 41% diesel, which is really the highest of the peer group if you look out there. And so we’re pretty comfortable that we can continue to tweak the operations in refineries and to eke out a couple more percentage points in clean product yields and continue to push our diesel yields up without significant investment at this point in time. When asked a question about rationalizing refining capacity by closing down plants Garland said it is difficult to shut refineries down. "Mostly because you think about the environmental liabilities that have accrued over the years. So it takes a lot of money to actually exit one of these facilities. And so that’s what you see people convert them to other uses, terminals, etcetera. So they tend to find another life in some shape or form to avoid the remediation that comes along with completely clearing, closing, shutting down and remediating the whole facility." Garland said there are s large opportunities in terms of midstream investment in gas gathering and processing, NGL fractionation, and distribution and that Phillips has a a very aggressive investment profile in the midstream space. "We have about $7 billion of projects identified, underway in this space and so you think at the DCP JV level spending kind of $500 million a year, historical capex, we’re moving that up to about $2 billion a year," said Garland. "We also have our own embedded midstream business within Phillips 66. It’s primarily pipelines and ownership in fractionators at Conway, Borger, and Belvieu. Good business generates good returns for us in a growth area for us and we would consider growth in this area around fractionation, around LPG exports." Garland says the NGLs that are coming on over the next 10 years are going to be feedstocks for the petrochemicals business and that the Joint Venture with Chevron is well positioned for that. On May 29, 2012 Phillips 66 announced that CEO Greg Garland will speak to investors and securities analysts on June 5, 2012 at the 2012 Citi Global Energy Conference partipating n a roundtable discussion, providing a brief company overview and engaging in Q&A with investors. On May 17, 2012 Phillips 66 announced that Clayton Reasor, Phillips 66 senior vice president for Investor Relations, Strategy and Corporate Affairs, will speak to investors and securities analysts on May 24, 2012 at the UBS Global Oil and Gas Conference in Austin, Texas about Phillips 66's strategic priorities, including plans for growth and returns enhancement. CNBC reported on September 9, 2015 that Warren Buffett's Berkshire Hathaway revealed Wednesday it has increased its already large stake in Phillips 66 by six percent to 61.5 million shares. The additional 3.5 million shares are worth about $282 million at today's closing price of $80.65. Bloomberg reported on August 28, 2015 that Warren Buffett’s Berkshire Hathaway Inc. disclosed a $4.5 billion stake in Phillips 66 contradicting an earlier story on august 17, 2015 that Buffett had sold all his shares in Phillips. Earlier this month, Berkshire didn’t disclose an investment in Phillips 66 at the end of the second quarter. At the time, Buffett’s firm also said it had omitted some data that was reported confidentially to regulators. 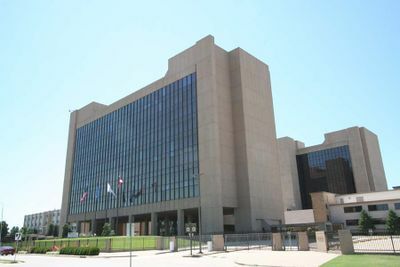 The Securities and Exchange Commission sometimes allows companies to withhold information from the public to limit copycat investing while a firm is building or cutting a position. Berkshire held almost 58 million shares after purchases, or more than 10 percent of the total outstanding, according to a regulatory filing issued Friday by Buffett’s Omaha, Nebraska-based company. Phillips 66 closed at $77.23 on Friday in New York. Buffett’s company formerly held more stock in the refiner. It used most of those shares to buy a business from Phillips 66 last year. The Houston Business Journal reported on August 17, 2015 that Warren Buffett’s Berkshire Hathaway Inc. sold off all of its shares in Phillips 66 during the second quarter. Berkshire Hathaway had held nearly 7.5 million shares of Phillips 66. Businessweek reported on July 23, 2013 that Phillips 66 Partners LP raised $377.8 million from its initial public offering of stock. 16.4 million shares sold at at $23 up from 15 million shares the partnership had expected to sell for $19 to $21 each. The banks managing the deal may buy another 2.5 million shares if there's demand for them and if they do, the public will own about 26 percent of Phillips 66 Partners. Phillips 66 will own the rest of it. The shares are expected to start trading on the New York Stock Exchange Tuesday under the "PSXP" ticker symbol. Fox Business reported on July 15, 2013 that Phillips 66 Partners plans an initial public offering will likely total as much as $315 million that will include certain pipeline, terminal and storage systems—used for crude oil and refined petroleum product—in the Central and Gulf Coast regions. The IPO of approximately 15 million shares is expected to price in a range of $19 to $21 a share, according to a filing with the Securities and Exchange Commission. CSP Net reported on July 3, 2012 that Phillips 66 Co. has recommended that shareholders not tender their shares in response to an unsolicited mini-tender offer that TRC Capital Corp. TRC is offering to purchase up to three million shares, or less than 0.48% of Phillips 66's outstanding common stock at an offer price of $31.30 per share represents a 4.78% discount to the Phillips 66 closing share price on June 25, 2012, the day prior to the commencement of TRC's mini-tender offer. "Phillips 66 strongly recommends investors obtain current market quotes for their shares of common stock and consult with their financial advisors with respect to TRC's offer," the company said. "The company does not endorse and is not associated with TRC's unsolicited mini-tender offer." On June 7, 2012 Barrons reported that Greg Garland said that Phillips is a lot more than just an oil refiner and deserves a higher price/earnings multiple than the paltry P/E ratio that refiners now garner. "We don't want the Street to just give us a refining multiple," Garland said in an interview in New York. Philips shares, at around 32, trade for less than seven times projected-2012 profits of $4.90 a share and yield 2.5% based on the company's targeted quarterly dividend of 20 cents that is set to begin in the third quarter. Garland says that Phillips has gotten about 60% of its profits on average over the past three years from higher-return businesses, principally chemicals and so-called midstream assets, including pipelines and processing facilities that handle natural-gas liquids. The chemical and midstream operations generate 20%-plus returns on capital and offer significant reinvestment opportunities. On May 2, 2012, executives and employees from Phillips 66 celebrated the company's first week of regular trading on the New York Stock Exchange by ringing the opening bell. Chairman and Chief Executive Officer Greg C. Garland led the delegation, which included employees from its Houston Headquarters and Bayway Refinery in Linden, N.J. It was announced on April 23, 2010 that Phillips 66 will join the the S&P 500. 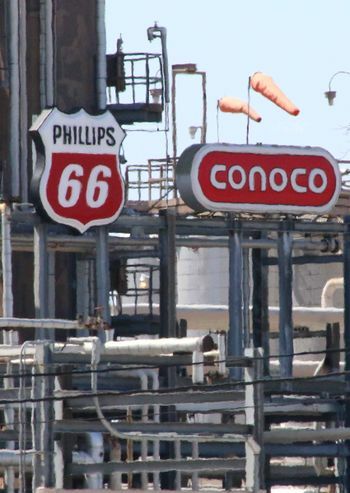 On April 4, 2012 ConocoPhillips' board of directors announced that two new companies will be separated through the distribution of shares of Phillips 66 to holders of ConocoPhillips common stock. This distribution is expected to occur after market close on April 30, 2012. ConocoPhillips shareholders will receive one share of Phillips 66 common stock for every two shares of ConocoPhillips common stock held at the close of business on the record date of April 16, 2012. ↑ Google Finance. "PSX" January 1, 2014. ↑ Google Finance. "PSX" January 1, 2013. ↑ Seeking Alpha. "ConocoPhillips - It Ain't What It Used To Be" January 14, 2016. ↑ Seeking Alpha. "ConocoPhillips: The Dividend Isn't Worth The Potential Squeeze" January 13, 2016. ↑ Bartlesville Radio. "Phillips 66 Increases Quarterly Dividend" May 10, 2018. ↑ Reuters. "BRIEF-Phillips 66 says increases quarterly dividend by 11 percent to $0.70per share" May 3, 2017. ↑ Phillips 66. "Phillips 66 Announces Quarterly Dividend" October 9, 2015. ↑ Dakota Financial News. "Phillips 66 Announces Quarterly Dividend of $0.56 (PSX)" July 8, 2015. ↑ The Legacy. "Phillips 66 To Go Ex-Dividend on May 14th (PSX)" May 13, 2015. ↑ Phillips 66. "Phillips 66 Announces Quarterly Dividend" February 4, 2015. ↑ Herald Online. "Phillips 66 Announces Quarterly Dividend" October 1, 2014. ↑ Watchlist News. "Phillips 66 Announces Quarterly Dividend of $0.50 (PSX)" July 10, 2014. ↑ Reuters. "Phillips 66 boosts dividend by 28 percent" May 7, 2014. ↑ Marketwatch. "Phillips 66 Announces Quarterly Dividend" February 14, 2014. ↑ Businesswire. "Phillips 66 Announces New $2 Billion Share Repurchase Program" December 6, 2013. ↑ Seeking Alpha. "Phillips 66 Announces 25 Percent Increase in Quarterly Dividend" October 2, 2013. ↑ istockanalyst. "Phillips 66 Announces Quarterly Dividend" July 10, 2013. ↑ Wall Street Journal. "Phillips 66 Announces Quarterly Dividend" May 8, 2013. ↑ Investors Business Daily. "Phillips 66 Announces Quarterly Dividend" February 11, 2013. ↑ Bloomberg. "Phillips 66 raises dividend, plans new $1B buyback" December 7, 2012. ↑ Businesswire. 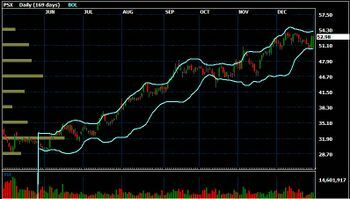 "Phillips 66 Announces a 25 Percent Increase in Quarterly Dividend" October 3, 2012. ↑ Barrons. "Phillips 66 Initiates $0.20 Quarterly Dividend" by Michael Aneiro. July 11. 2012. ↑ Phillips 66. "Transcipt of First Stockholder's Meeting" May 8, 2013. ↑ Herald Online. "Phillips 66 to Host Inaugural Meeting of Stockholders" April 17, 2013. ↑ Phillips 66. "Phillips 66 Reports First-Quarter Earnings of $385 Million or $0.72 Per Share" April 29, 2016. ↑ Phillips 66. "Phillips 66 Reports Fourth-Quarter Earnings of $650 Million or $1.20 Per Share" January 29, 2016. ↑ Phillips 66. "Phillips 66 Reports Third-Quarter Earnings of $1.6 Billion or $2.90 Per Share" October 30, 2015. ↑ Nasdaq. "Phillips 66 Earnings Beat Q3 Estimates on Higher Margins" October 29, 2014. ↑ Reuters. "UPDATE 2-Refiner Phillips 66's third-quarter profit more than doubles" October 29, 2014. ↑ Houston Business Journal. "Phillips 66 misses mark on earnings" by Jordan Blum. July 30, 2014. ↑ Houston Chronicle. "Phillips 66 profit drops despite good chemistry" by Ryan Holeywell. July 30, 2014. ↑ Wall Street Journal. "Phillips 66 Reports First-Quarter Earnings of $1.6 Billion or $2.67 Per Share" April 30, 2014. ↑ Phillips 66. "Analyst Meeting" April 10, 2014. ↑ Phillips 66. "Bank of America Merrill Lynch 2014 Refining Conference" March 6, 2014. ↑ Phillips 66. "Credit Suisse Energy Summit" February 12, 2014. ↑ Phillips 66. "Barclays CEO Energy-Power Conference" August 29, 2013. ↑ Phillips 66. "UBS Global Oil & Gas Conference" May 21, 2013. ↑ Phillips 66. "Citi Global Energy and Utilities Conference" May 15, 2013. ↑ Fort Mills Times. "Phillips 66 to Present at Bank of America Merrill Lynch 2013 Refining Conference" February 28, 2013. ↑ Daily Finance. "Phillips 66 to Present at Credit Suisse Energy Summit" January 22, 2013. ↑ 4-traders. "Phillips 66: to Present at Bank of America Merrill Lynch 2012 Global Energy Conference" November 5, 2012. ↑ Marketwatch. "Phillips 66 to Present at Barclays CEO Energy-Power Conference" August 22, 2012. ↑ TheStreet.com "Phillips 66 To Participate In Citi Global Energy Conference" May 29, 2012. ↑ Marketwatch. "Phillips 66 to Present at UBS Global Oil and Gas Conference" May 17, 2012. ↑ CNBC. "Berkshire filing reveals more Phillips 66 purchases as stock dipped" by Alex Crippen. September 9, 2015. ↑ Bloomberg. "Berkshire Reports $4.5 Billion Stake in Refiner Phillips 66" by Noah Buhayar. August 28, 2015. ↑ Houston Business Journal. "Warren Buffett sells off stake in Houston energy companies" by Olivia Pulsinelli. August 17, 2015. ↑ Businessweek. "Phillips 66 Partners raises $377.8M in IPO" July 23, 2013. ↑ Fox Business. "Phillips 66 Partners Eyes IPO of $315M" by Matthew Pocco. July 15, 2013. ↑ CSP Net. "Phillips 66 Stands Tall: Recommends shareholders reject mini-tender offer by TRC" July 3, 2012. ↑ Barrons. "Wall Street Should Pump Up Phillips 66's P/E" by Andrew Bary. June 9, 2012. ↑ The Daily Oklahoma. "Phillips 66 stations return to Oklahoma" by Adam Wilmoth. May 31, 2012. This page was last modified on 30 May 2018, at 11:37.